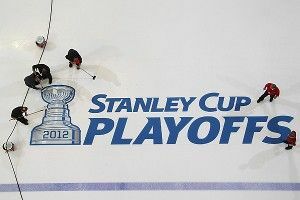 Grantland’s Katie Baker joins Bill Simmons to discuss the NHL playoffs, which start Wednesday night. Buccigross discusses his favorites to win the Cup, and the bad blood between the Penguins and the Flyers. Then, Wyshynski recalls the hockey message board days of the Internet, talks about whether he’s sold on the Rangers, and mourns Patrick Kane’s playoff mullet.